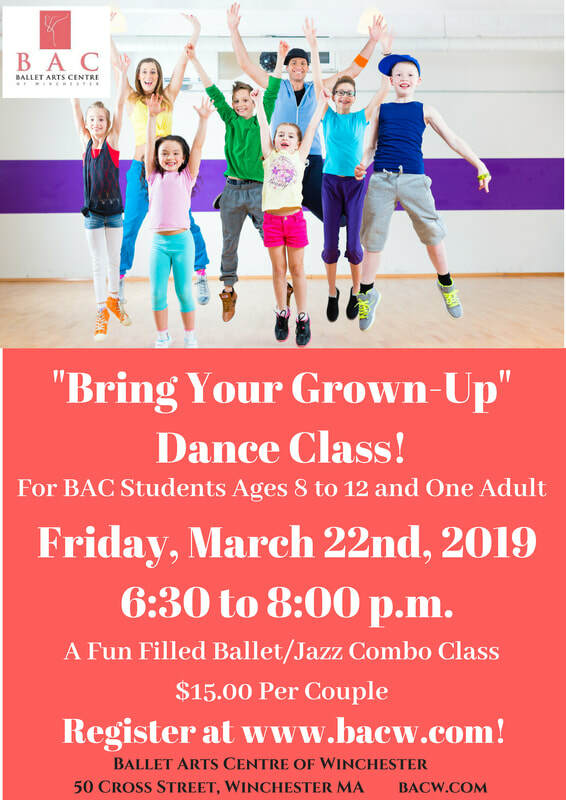 "Bring Your Grown-Up" Dance Class! - Ballet Arts Centre of Winchester, Inc.
"Bring Your Grown-Up" Dance Class! BAC Students are invited to bring along their favorite Grown-Up to take class with them! Student registration online includes admittance of one adult. Students, please bring just one adult! We know it's a difficult choice!